It appears that Aussie first-home buyers aren’t the only ones struggling to gain a foothold in the Australian property market. According to National Australia Bank’s latest Residential Property Report, the proportion of Australian residential properties being snapped by foreign investors has continued to decline into the September quarter. “During Q3, the overall market share of foreign buyers in new and established property markets fell to their lowest levels since 2012, with foreign buyers less prominent in Victoria, NSW and Queensland,” stated the report. NAB indicates the decline is broad-based, and applies to houses and apartments, new and existing. Foreign investors in the property sector accounted for just 10.2% and 6.4% of new and existing property purchases during the September quarter, continuing the slide first discerned in mid-2015. NAB, citing feedback from survey respondents, said the influence of foreign buyers was waning due to the tighter lending conditions imposed by banks. Earlier this year, ANZ told mortgage brokers it would no longer accept mortgage applications in which 100% of the income being used to fund the applications was of foreign origin. Some state governments have also applied a surcharge on stamp duty for properties purchased by non-residents, which may have deterred investments. he renewed strength of the Australian dollar, along with the continued rapid house price growth in Sydney and Melbourne, could also be contributing to the slowdown in foreign investment. 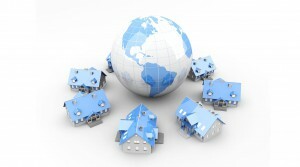 In terms of new property purchases, NAB said that foreign investors were less prominent in Australia’s biggest cities. “In Victoria, their market share fell to 15% in Q3. This followed a sharp jump in foreign buying activity in Q2 to 21.7% of sales ahead of an increase in the stamp duty surcharge on foreign buyers of Victorian property,” stated the report.